Like many others who already have beta access to Heroes of the Storm I was given beta keys to give out to friends. Since I have more friends than beta keys, I will be doing a contest to give them away! 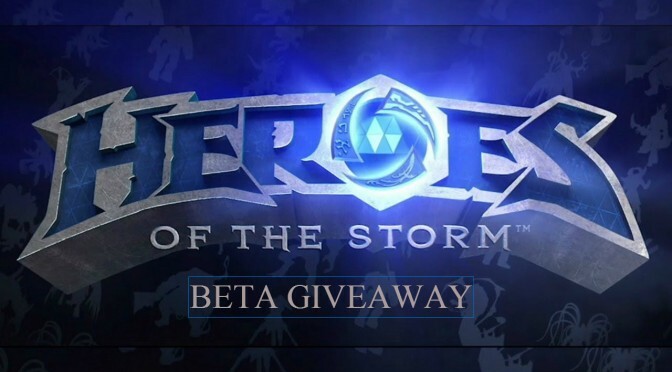 I will be giving away a Heroes of the Storm beta key every week until the end of April. All you have to do is re-tweet to win. Make sure you re-tweet the following tweet. I will pick a random twitter account as the winner. The account must be following me on Twitter. In the event they are not, I will draw a new name. Good luck and hopefully I will see you in the Nexus!